The first (documented) custom-built motorcycle was built in 1902 by Harold Karslake (later the chief engineer at the legendary Brough Superior motorcycle factory) in England. He used a DeDion block and a B.A.T frame to create the Dreadnought, which is still in working order. He produced all other parts himself. The Americans first “dabbled” with bike-building in the 1920s. Harley models (JDH, JD) were usually the victims of these cut-downs. The enthusiastic bike-builders reduced the height and length of the frame. Bob-Job bikes in the 1930s were based on Harley Davidsons, as well as Indian motorbikes. The bike-building fanatics often discovered British motorcycles too. These bikes were similar to the “dirt track” racing bikes of the era. Towards the end of the 1940s proud owners started embellishing their Bob-Job bikes with special paint, exhausts and chrome parts. In the 1950s the increasingly popular ‘vehicle beauty contests’ were a great opportunity to show off these bikes. 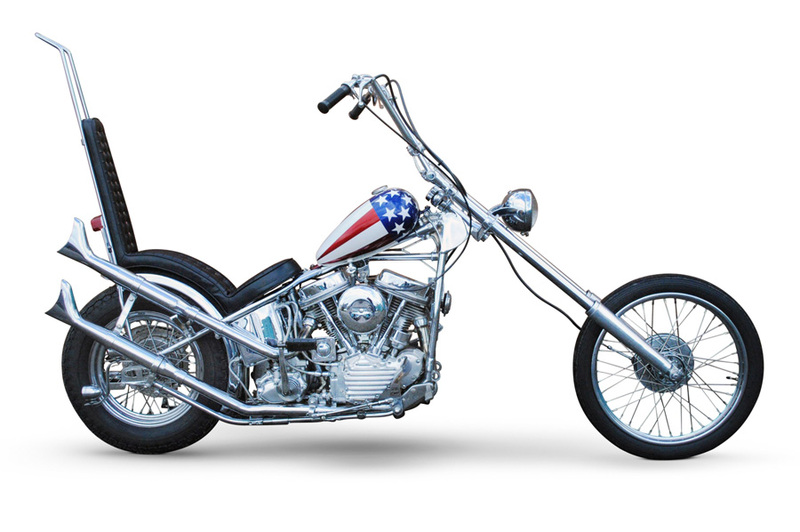 By the end of the 1950s and the beginning of the 1960s, the chopper custom-built bikes appeared, a style which is still well-known today. 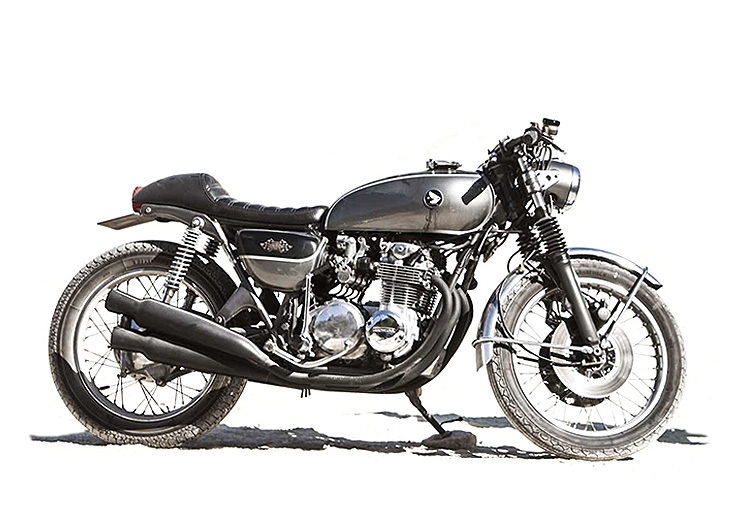 One of our personal favourites, the café racer was developed in Britain in the 1950s and is now the focus of one of the world’s most popular motorbike subcultures. After World War 2, British youngsters raced one and two-cylinder bikes between cafés (hence the name). Obviously they made the bikes lighter (weight/horsepower), tuned the engine and placed the handlebars in a lower position to make it sportier. The style is easily recognisable because of these key characteristics. The bikes have a large fuel tank and a small hump behind the seat, which can be part of the seat itself or an independent racing component. The tank and the bottom of the seat are typically level but bike-builders often turn the exhaust pipe so it faces upwards. This bike-building style was brought about by racers who would power slide on American and Australian mixed surface circular tracks at the end of the 1910s and beginning of the 1920s. The “gladiators” at the time didn’t need to struggle with the front brake, as these motorbikes didn’t have such unnecessary extras due to a lack of demand for them. (Board track races also took place in circular arenas but on board tracks which were expensive to build and maintain.) Flat track races later became popular in the UK as well as in Northern, Central and Eastern Europe. The first motorcycle track race was organised by the British in 1928. As it was an incredibly cheap way to race and it paid well, it soon became popular among youngsters who were often poor after the First World War. During the Second World War, Allied soldiers based in Italy, who during peace time had earned money as track racers, turned Triumph 3HW, BSA M20 and Norton I6H motorbikes into racing bikes and raced them on makeshift tracks to see whose was the most powerful. After the war military track races were also held in Hungary, Germany, Kenya and Kuwait. This building style from the 1940s is considered the precursor to the chopper style. It also originated in the United States, although it is now known across the world. (In fact, the idea actually came from soldiers arriving home in Europe after the Second World War, who wanted to ride the sporty bikes they had seen overseas at home too.) Just like the choppers later on, these bikes also have a similarly low-gradient front fork, although it’s generally shorter than the chopper’s. The rear suspension typically does not have shock absorbers and for this reason it’s not the most comfortable ride on a bumpy road. These motorbikes either do not have mudguards or they have shortened ones. This is where the bobber expression comes from. 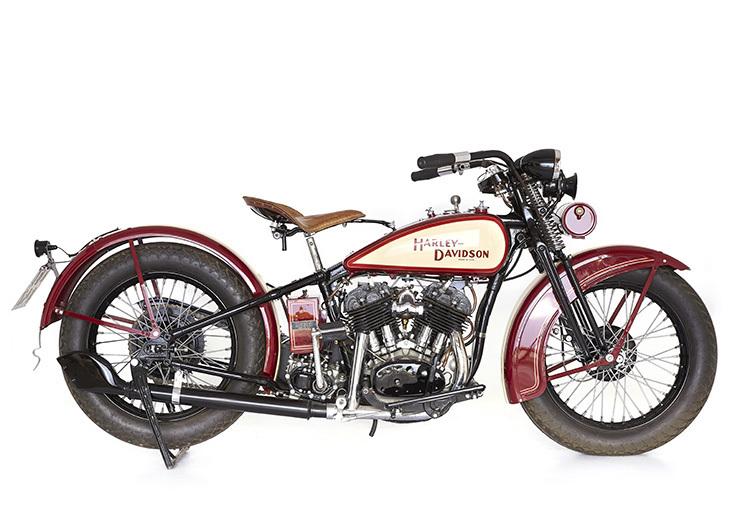 The style became so popular that Harley Davidson also produced its own bobber which they named Street Bob. This style, which started in the 1960s, is characterised by a very low front springer fork, tall handlebars which are far back and stiff rear suspension. They are often built with seats that contain a vertical backrest. These bikes became very popular after the film Easy Rider (1969), directed and co-written by Dennis Hopper, and have since gained cult status. (The camera operator was actually a Hungarian, László Kovács.) Nowadays choppers are not as popular as they used to be. This is the case in Hungary too. These bikes, with their chunky tyres, reinforced handlebars and long springs are true “mountaineers”. They can be considered the precursor to the modern enduro bikes. Steve McQueen, or the King of Cool as his fans rightly called him, showed what a scrambler is capable of on several occasions in the Californian desert (among other places). If you haven’t seen it (enough times), you must watch McQueen’s film On Any Sunday! The film perfectly captures American motorsports in the 1970s. This style is increasingly popular today. 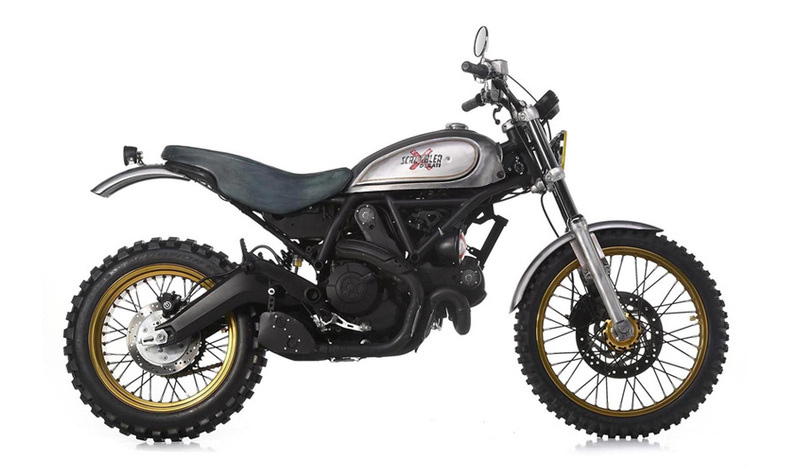 The Ducati Scrambler, for instance, quickly became the best-selling Ducati of all time. This was the most popular style in the 1970s and was built around frames optimised for quarter-mile races. These explosive motorbikes had a low centre of gravity, a tiny rectangular fuel tank, a pivoted rear fork (iron tube instead of spring), a fork tube which was pushed forward and a long wheel base. (Chopper and digger fans have a lot to thanks Arlen Ness for.) Towards the end of the 1970s this style has also changed a bit. 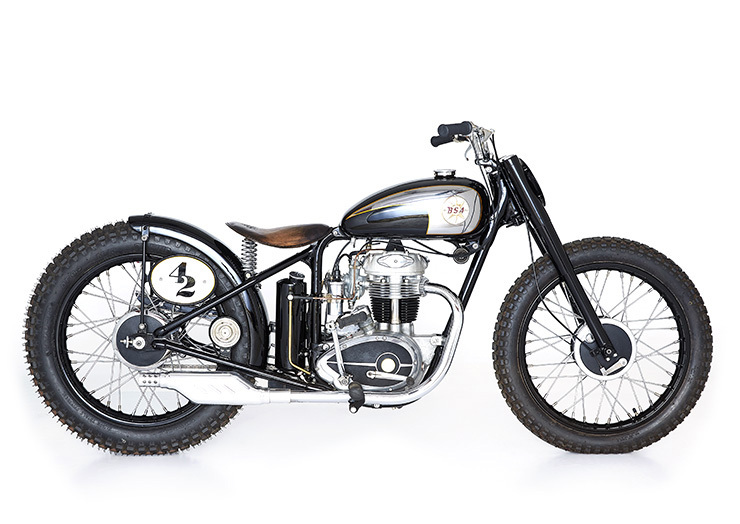 Enthusiastic but not blessed with much taste, many bike-builders mixed up bobber and chopper characteristics with digger ones, which led to the creation of several eclectic and quite incredible examples. And not in the positive sense of the word. Handlebars higher than the biker’s shoulders. This noticeable feature is generally found on choppers. The geometric centre of a turn, when the biker is closest to the inside of the bend. The upper part of the frame on which the fuel tank is placed. Large cruiser motorbike with hard saddlebags. A blatantly custom-built bicycle (often a bobber) which is only comfortable for short trips (e.g. from bar to bar, hence the name). Big, comfortable old-style motorcycle (e.g. Honda Gold Wing). Vintage motorbike found by the owners in “stable-like places” such as barns, lofts. The edge of the tyre which touches the wheels. Used to describe street racers and refers to situations where we face guys “with balls”. Named after the modified ignition timing first used with the two-stroke, 500 Grand Prix speed Honda engine. The five big motorcycle manufacturers: Harley Davidson, Honda, Kawasaki, Suzuki, Yamaha. The four big bikers’ clubs considered to be outlaw motorcycle gangs by the FBI: Hell’s Angels, Pagans, Outlaws, Bandidos. Nickname for the girls sitting on the bike behind Hell’s Angels gang members. Riding “blind” when light conditions suddenly change. The legendary blue stripe, which can be found on half-mile and one-mile dirt tracks and shows the ideal bend. It gets its colour from clay being worn down by the constant pressure of tyres racing over it. Expression typically used by dirt track racers when they do something which is surprising even for them. The word imitates the sound of the two-stroke tracker bikes. The number of letter “a”-s in the word is the subject of debate. A bubble-shaped visor, first found on open helmets in the 1970s and enjoying a renaissance at the moment. The nickname given by Hayabusa (GSX1300R) owners to their bikes. Motorists or lorry drivers (who don’t notice bikers because, for instance, they are on the phone). Special form of rear light. British word for a wheelie. (Unlike the stoppie, here the rear wheel touches the ground). Collective name for local representatives of bikers’ gangs. Erratic behaviour of the motorbike during breaking distance. A person whose job is the transformation of motorcycles. Another name for the ‘stoppie’, when the rear of the motorbike lifts after applying the front brakes suddenly. Collective name for short track flat track motorbikes. 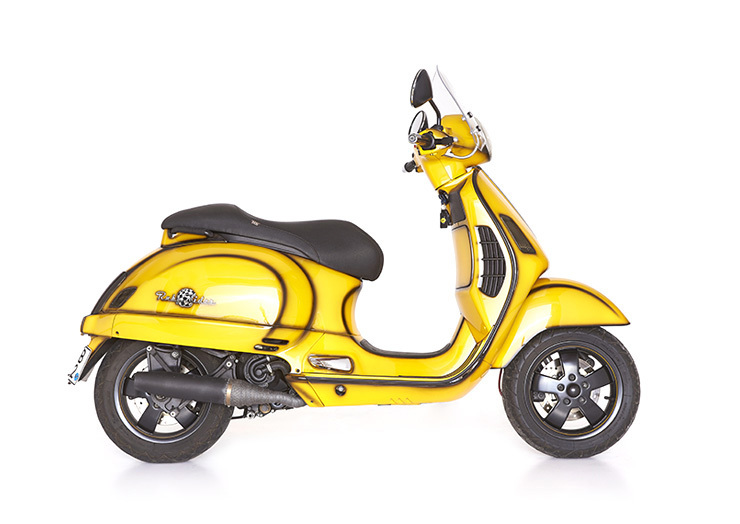 Generally made with a one-cylinder, four-stroke 450 engine block. Motorbikes with a tank placed on top of the frame. Nickname for the Suzuki GSX-R.
Middle-class family car of a biker. A motorbike whose parts are “transplanted” to another motorbike. Large touring motorbike with windshields, saddlebags, etc. Motorbike without rear shock absorbers. Rare nickname for a happy, smiling biker who has bugs in his teeth. Should never be confused with the expression a ‘happy finish’. Dangerous way of falling, when the rear wheels lose grip for a moment and the biker is scarily catapulted into the air. (See lowside!). Slang expression for the motorbike’s cylinders. Frequently changing lanes and zigzagging between lanes in city traffic. More frequent (and generally less dangerous) accident than the highside. The real wheel loses its grip and slides to the sides. Painful bottom after cycling for a long time. Person infected by petrol, a fan of motor vehicles. Sport biker whose leather overalls, gloves, helmet and often even whose motorbike are in matching colours. When you get soaked on the motorbike because of a lack of protective gear. A technique used on bends when the racer tries to take the bend at as high a speed as possible while sending too much power to the rear wheel. A rusty, used motorbike which looks like it’s been found after being stored and neglected for 100 years (e.g. at the bottom of the Danube). Rough tarmac leaves this pattern on you if you fall without wearing the right gear. Mud brought up by dirt motorbikes. Slang expression for a bend that is considered dangerous. Nickname for two-stroke motorcycles which are know for emitting a great deal of smoke. A biker without helmet and/or the right gear. The last biker in line. The incredibly frightening phenomenon when the handlebars start to shake suddenly. Tools used to repair motorbikes. A person who is able to fine tune the engine block and increase its performance. 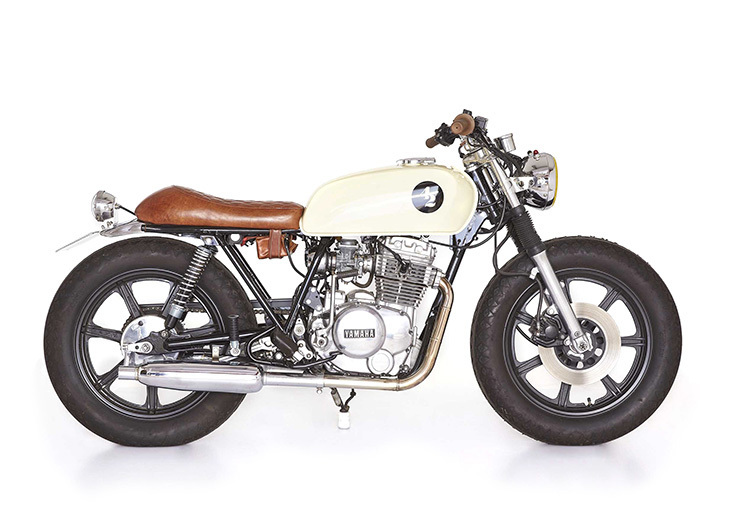 Japanese motorcycle from the 1970s with a 4 cylinder straight engine and frame which have become rather overpriced since hipsters “discovered” them. Front inverted fork used on modern sports motorbikes. Manoeuvre where the front wheel or wheels come off the ground. leader of Route42 and brand manager for Bang & Olufsen Budapest, co-author of Blogger42.  the ONLY hungarian world motor-racing champion and tester of special Route42 bikes. 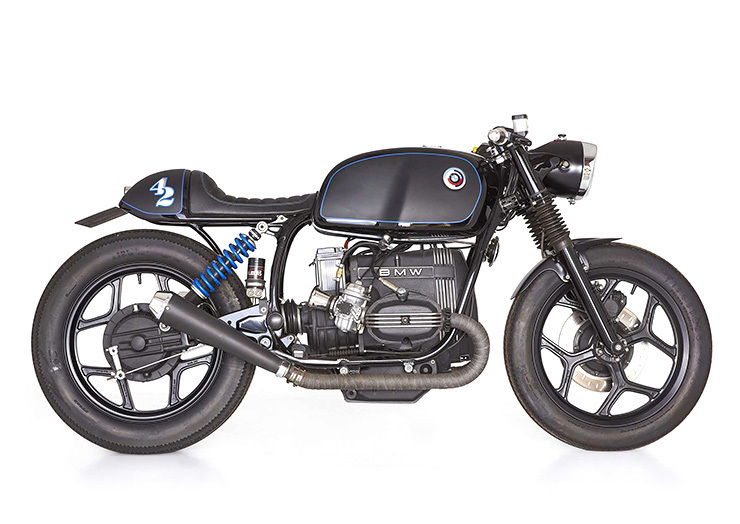 hungarian champion & World Champion virtual tuning artist, digital designer of the Route42 bikes. founder of Route42 and Group42 and enthusiastic co-author of the Route42 and Blogger42 blogs. sentimental bike-nut living a chaotic life and co-author of the Route42 and Blogger42 blogs. founder of My Little Melbourne Coffee and leader of Route42 Think.scrambler division. graphic designer and musician, winner of several professional awards and the designer of the Route42 brand. Using expertise built up through the war years, Eli Belovitch goes into business with his son-in-law, Harry Grosberg, to form Bellstaff Brand.